One important change in the new health care reform that will benefit HIV-positive Americans is the ban on discrimination of people with pre-existing health conditions that would otherwise have prevented them from getting health insurance coverage. The Patient Protection and Affordable Health Care Act (PPACA) will prevent insurance companies from refusing to insure them due to pre-existing health conditions such as HIV or other chronic illnesses. Most private health insurance currently comes from employer-sponsored programs. Many HIV-positive people are either unemployed or working for companies who don't offer health insurance. In addition, due to their chronic illness, they are often denied coverage. 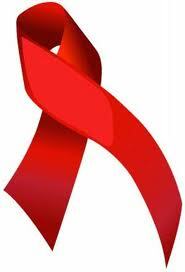 This results in people with HIV joining the ranks of more than 50 million Americans who do not have health insurance. Under the new PPACA law, states would be required to offer a marketplace exchange where people have choices in policies and premiums beginning in 2014. In addition, low-income families with incomes up to 400% of the poverty level could qualify for a government subsidy to purchase insurance coverage from the state exchange. This will make insurance more affordable for low- and middle-income people and also greatly reduce the number of Americans who are uninsured. Many people who are HIV positive or have other chronic illnesses currently receive benefits through Medicaid, the government's shared cost program for uninsured low-income people. Although not mandatory, the law includes a plan to extend Medicaid benefits with the federal government funding 100% of the cost until 2022. States who voluntarily comply will be helping to insure more HIV-positive Americans.